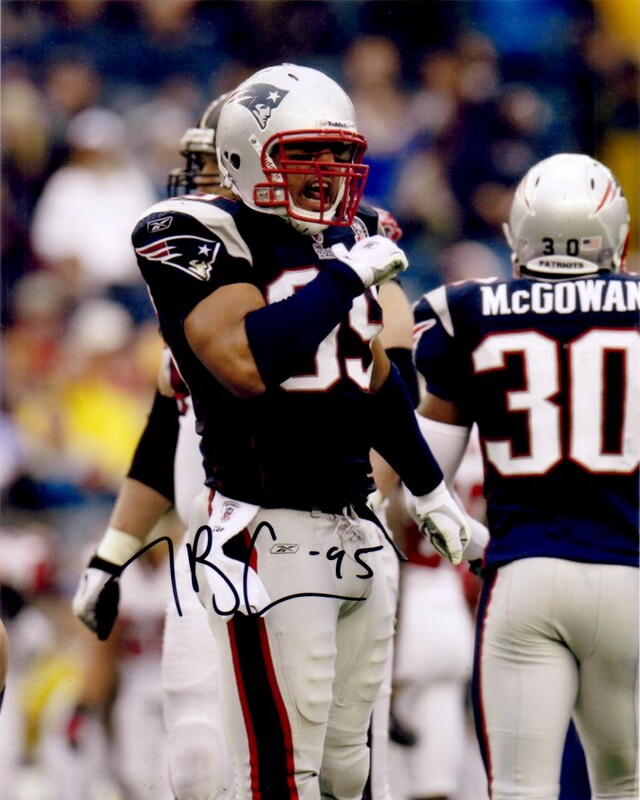 8x10 photo autographed by former New England Patriots star pass rusher Tully Banta-Cain. ONLY TWO AVAILABLE FOR SALE. With certificate of authenticity from AutographsForSale.com.